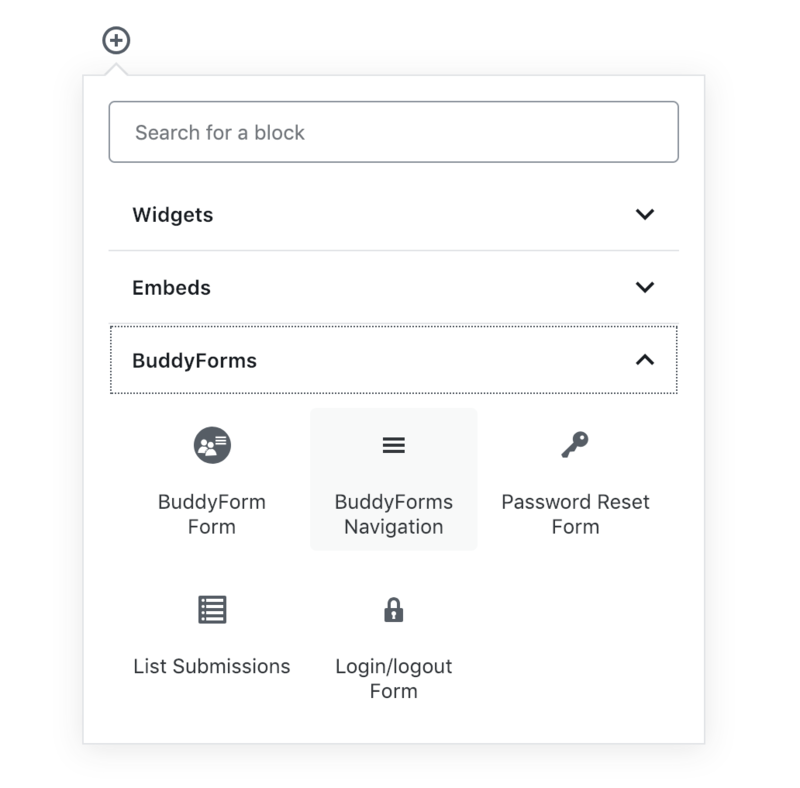 You can list form submissions form any form and post type. Filter post lists by author or only display posts from the logged in user. Use the options in the Block sidebar. Select a form you like to embed a button for. A separator can be useful if both button "Create" and "Display" are used as text links. Display a login form or a logout button if the user is logged in. Display a password reset form. This can be helpful if you want to create a registration form and ask the user to create a password first after he clicks on the activation link. Select the page with the password reset block as a redirect link in the registration form settings if you like to create this kind of funnel.